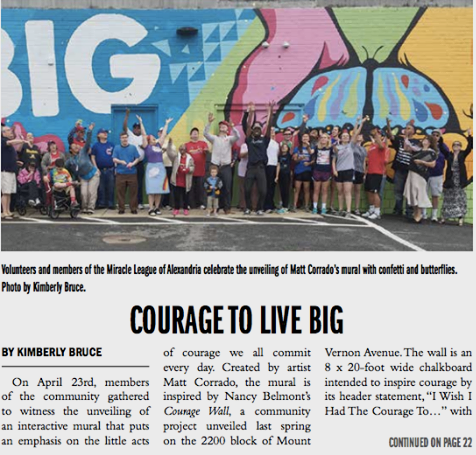 #WeLiveBig collaborated with artist Matt Corrado to create a vibrant design with the words, "Courage to Live BIG.” The colorful, larger-than-life art will face the Kelley Cares Miracle Field, a baseball field specifically designed for use by individuals with special needs. The Theme of the wall – the Courage to Live Big – particularly applies to the special needs players in the Miracle League Program. Every day, they show the courage to face life's challenges and keep moving forward. 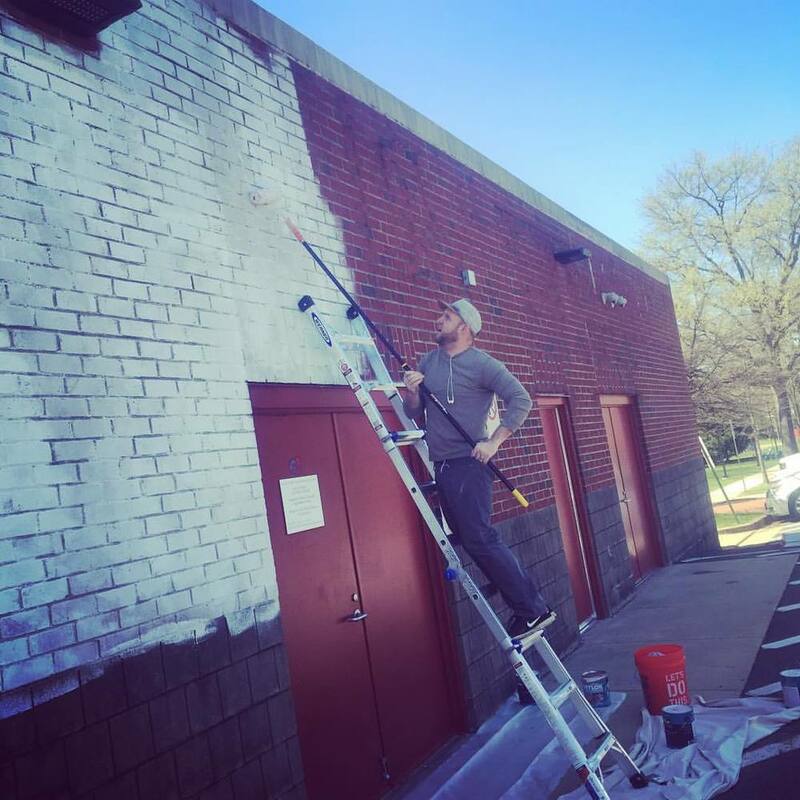 The project is the city's first long-standing interactive mural, with chalkboard space for participants in the City of Alexandria Therapeutic Recreation Program to write and draw, adding their contributions in colorful chalk. 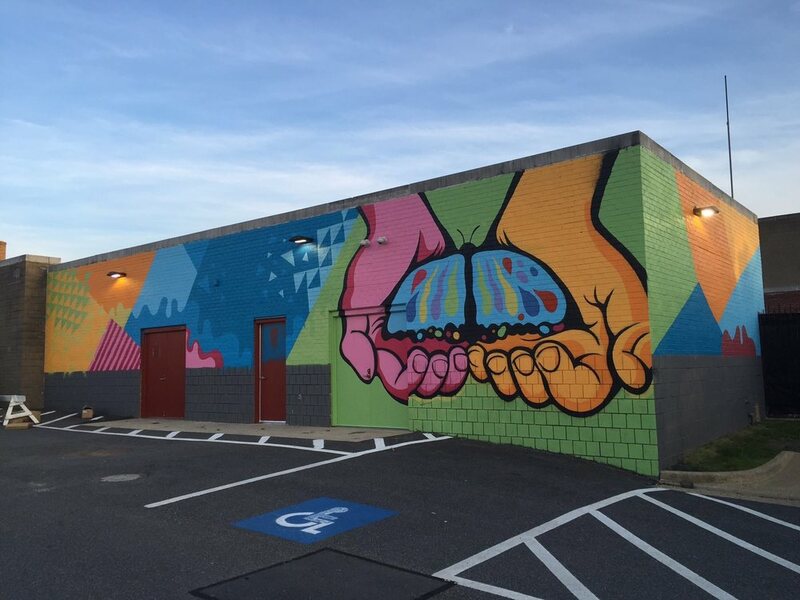 The Therapeutic Recreation youth and adults inspired the the portion of the mural reading “Time to Play!” A cluster of hand prints from participants in the program illustrates the power of diversity in building unity. The project was on Saturday, April 23 at 12:30PM, just before the season’s first Miracle League baseball game at 1108 Jefferson Street, Alexandria, VA. The unveiling was a family-friendly celebration of courage, featuring a performance by the Rainbow Rock Band, a mindfulness moment by the Mindful Junkie, Gina Rollo White and reflections on courage by Therapeutic Recreation participants. 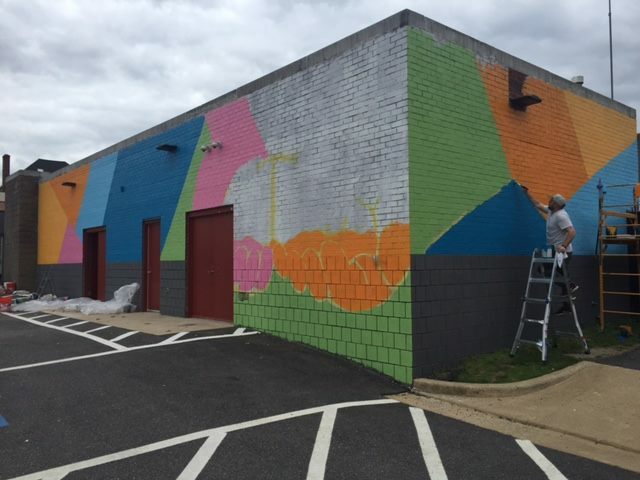 The mural is a true community partnership, with funds and brainpower contributed by the City of Alexandria, Kelley Cares Foundation, Miracle League of Alexandria, lululemon Alexandria, #WeLiveBig, Gravitate Solutions and Jen Walker the Realtor for Del Ray & Beyond. Thanks to Keven Castillo for capturing the event.